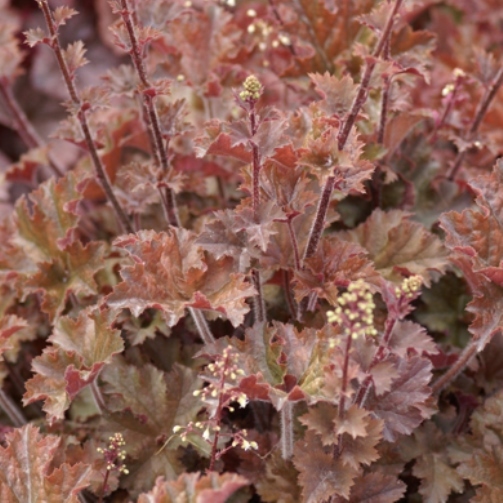 Heuchera 'Cappuccino'. 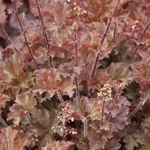 Coffee colored foliage with wavy and nicely etched margins. Cream flowers top this delicious plant as if they were the frothy steamed milk on a Cappuccino. One of Terra Nova's earlier successes.